QuickBooks Online For WHMCS is responsible for data synchronization between your system and QuickBooks, it is a comprehensive, accounting software solution. The module will let you manage the integration of your clients details, invoices and transactions into QuickBooks database. Data can be synchronized manually as well as automatically with the use of cron job. Thanks to logs you will be able to preview all information on exported data. 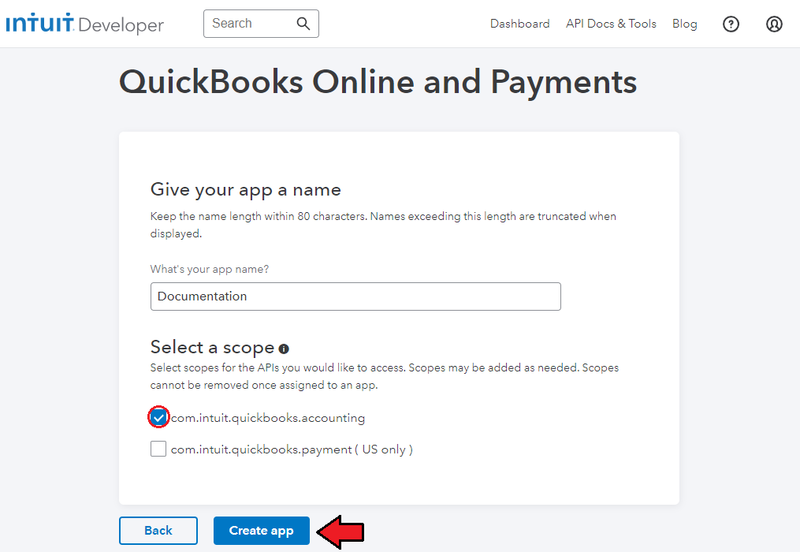 This tutorial will show you how to successfully install and configure QuickBooks Online For WHMCS. 4. 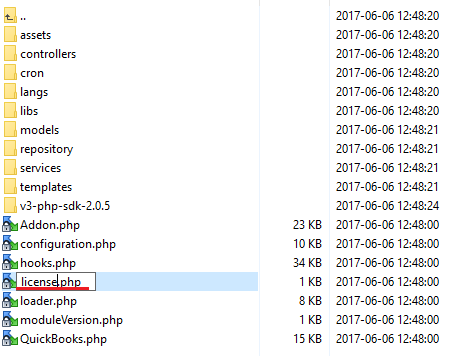 When you install QuickBooks Online For WHMCS for the first time you have to rename 'license_RENAME.php' file. File is located in 'modules/addons/QuickBooks/license_RENAME.php'. Rename it from 'license_RENAME.php' to 'license.php'. Log in to your WHMCS admin area. Go to 'Setup' → 'Addon Modules' . Afterwards, find 'QuickBooks' and press 'Activate' button. To do so, click on 'Configure' button, check required group of administrators and press 'Save Changes'. 8. You have just successfully installed QuickBooks Online For WHMCS! 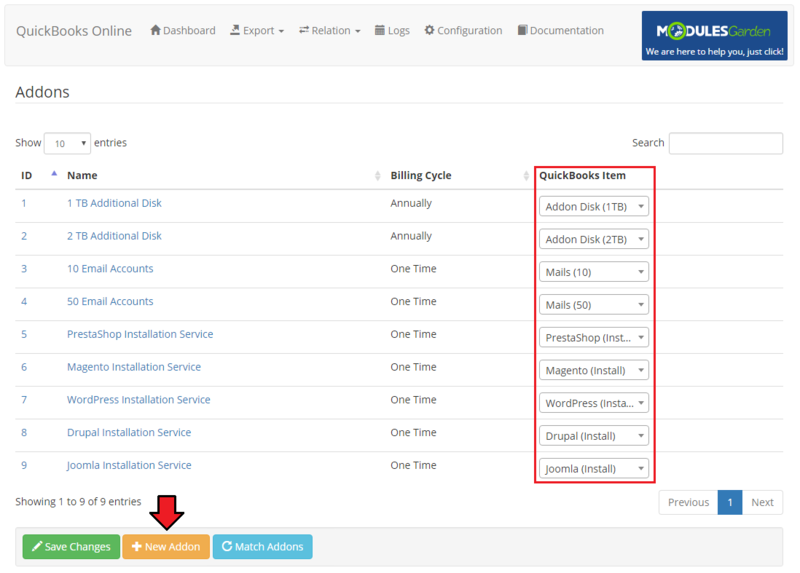 You can access your module under 'Addons' → 'QuickBooks'. QuickBooks Online For WHMCS is a module which allows you to export any data on clients, invoices and payments directly to QuickBooks. Read the below manual to learn about all the possibilities that the module offers. Before you move to the essential configuration of the module, you need to generate some data directly in QuickBooks. Please follow the steps below . Use your QuickBooks account details to sign in. 2. Once you are logged in, find 'My Apps' tab, press it and then 'Create a new app'. 4. Then mark 'Accounting ' and 'Create app'. 5. Once a new app has been created, you have to move to 'Settings' section. 6. Then, fill out the rest of the information and 'Save Changes'. Keep in mind that the presented URLs are only exemplary and you need to use the details provided in your QuickBooks Online panel. The Launch URL and Disconnect URL fields are optional since the module does not use them. Note that your application data need to be complete to make it work on the production mode. 7. When ready, move to 'Keys' tab and scroll down to the 'Production Keys' section. These keys are very important, you will need them in the very next step of the module configuration. Please keep them safe. Note that your 'admin' folder might have a different name than the default one. Provided URL also has to start with https:// . You will find the already customized address in your module configuration. 9. 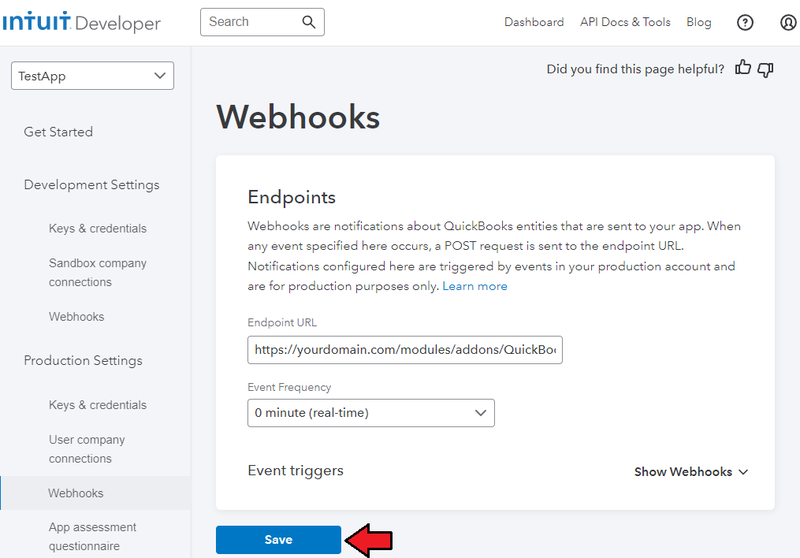 Now move to 'Webhooks' tab. 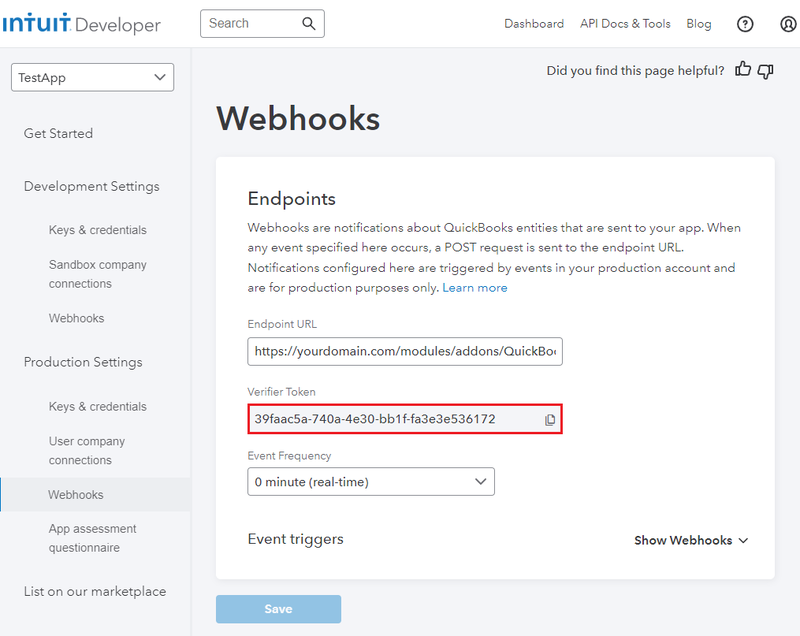 Here you will have to generate a token that will be used to enable Webhooks for synchronization. First of all, provide a valid Endpoint URL to the 'webhooks.php' file. That is how such URL may look like. Please remove 'yourdomain.com' and insert your actual address. Note: Provided URL has to start with https:// . Then select required events that will be triggered. Repeat the action for both Development and Production environment. 10. Copy adequate Webhooks token. It will be necessary during the module configuration. 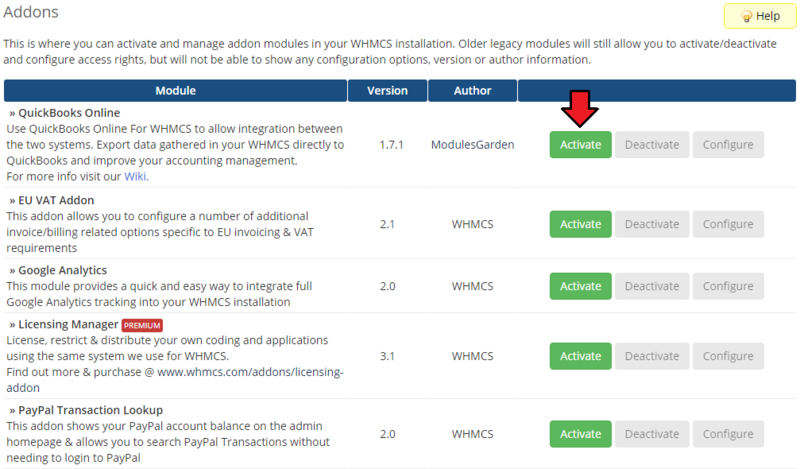 In order to configure your module properly, proceed to 'Addons' → 'QuickBooks' → 'Configuration'. 1. Start with API configuration, since this part is very basic and absolutely necessary to take any further steps. A box will appear where you will have to type in all the previously generated data. 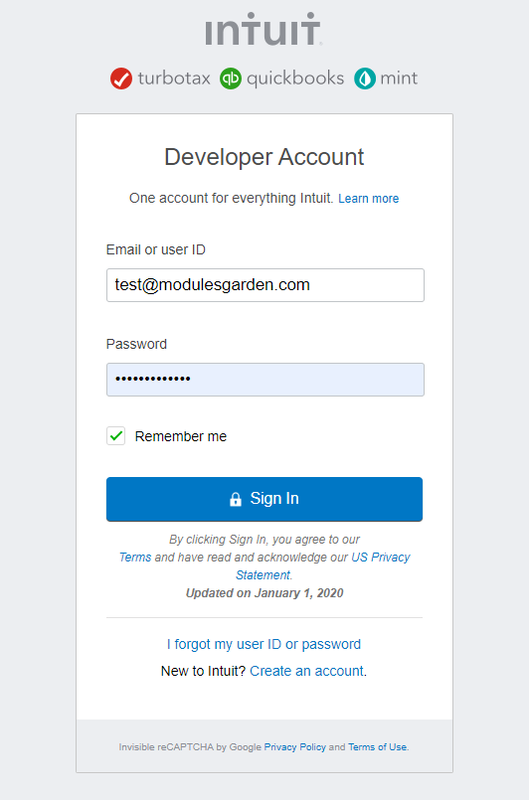 It will allow the module to authenticate your identity in QuickBooks system and let your WHMCS connect with it. Sandbox - if you have used 'Production' to generate 'Keys,' unmark this checkbox. 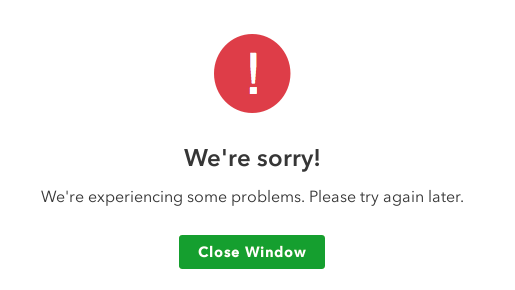 If the entered data are correct, you will be redirected to QuickBooks where you will have to agree to authenticate the connection. 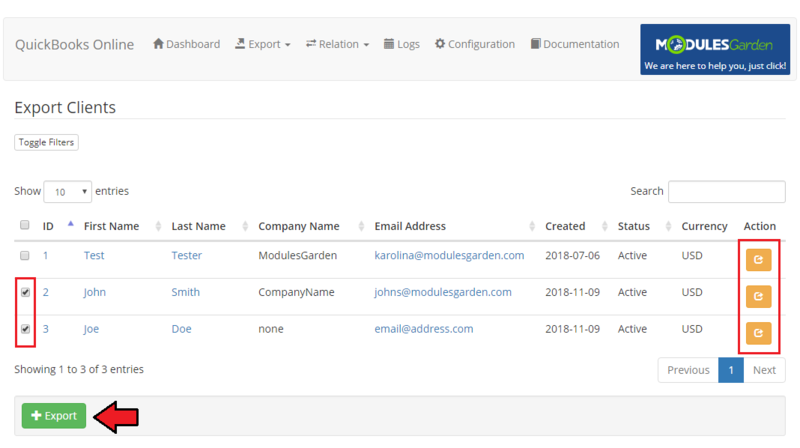 Only then the connection status in your module will change to 'Connected,' the data on your company will be automatically downloaded from QuickBooks and filled out here. 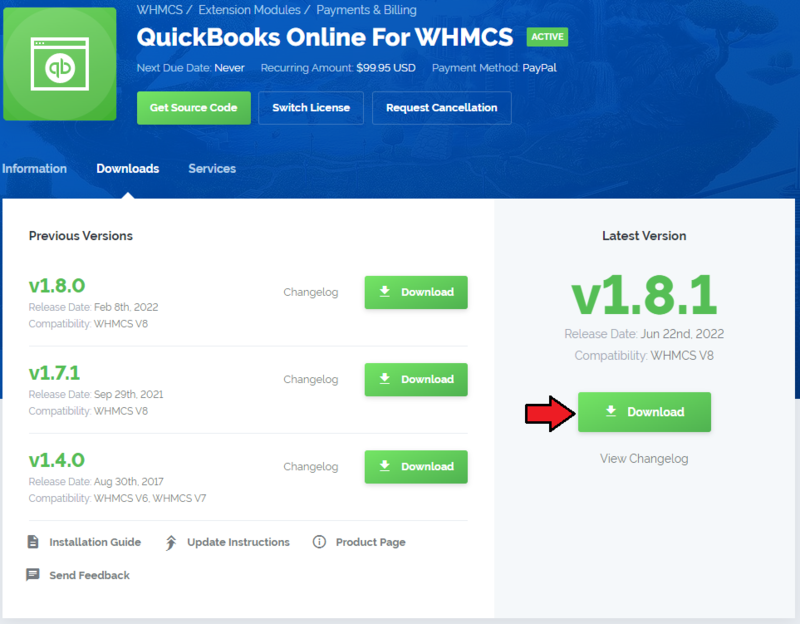 From now on, you will be able to use your QuickBooks Online For WHMCS module. You have to do this step only once. Entering the token and consumer keys will not be required again, even if the module is deactivated in the meantime. 2. Webhooks Token - enter the token to maintain synchronisation. 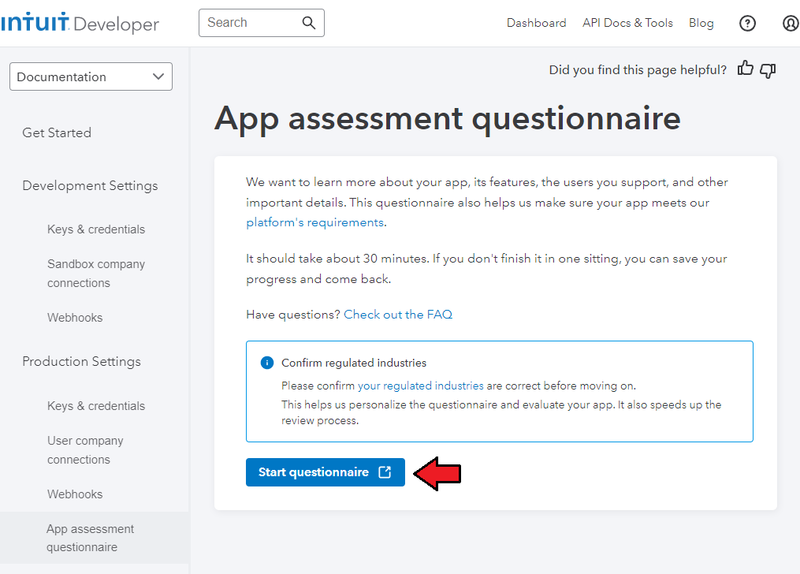 Use the token generated as explained in steps 9 and 10 in the API Keys section. Keep in mind that you must use an adequate token. 'Development' Webhooks - when sandbox is used and 'Production' Webhooks token when used in the live environment. 3. Cron configuration - set up cron jobs. The first cron job is run only once. 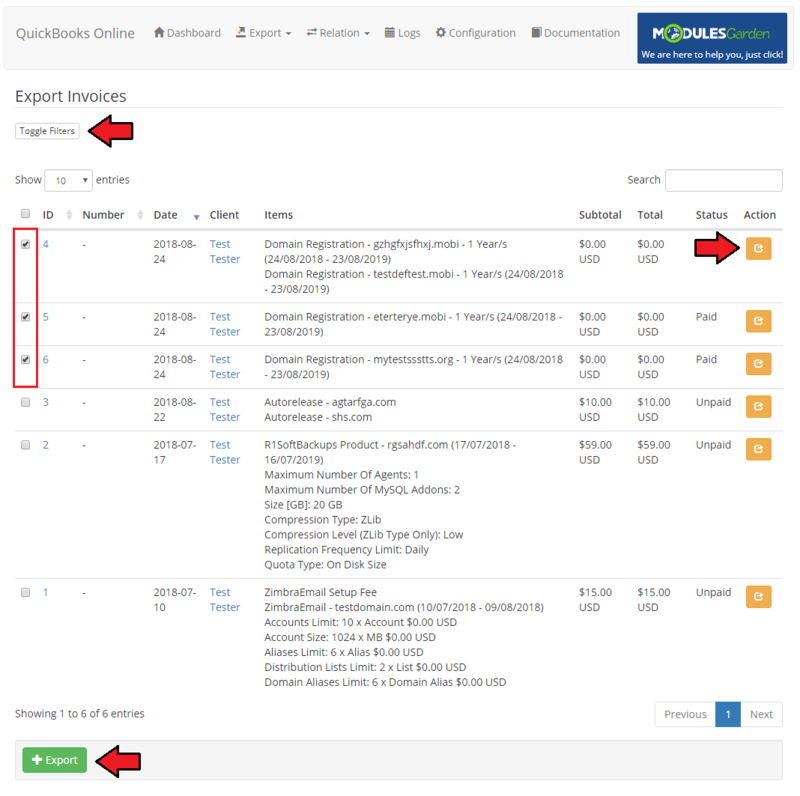 It exports all clients, invoices and transactions to QuickBooks as soon as our module is activated in your WHMCS. The second one is used to maintain the session and refresh the access token. 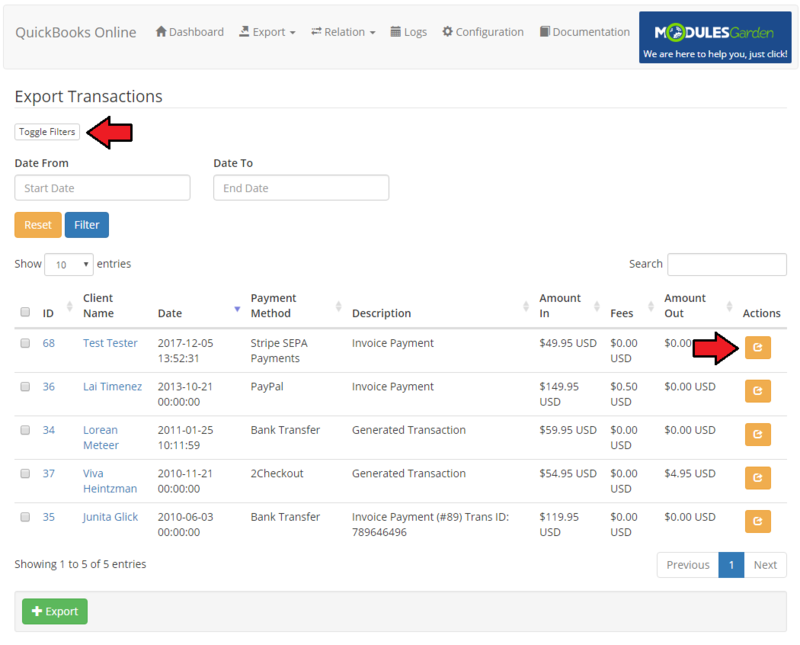 If connection with QuickBooks has been properly setup, currency details will be visible. The above data are synchronized with your QuickBooks account. 5. Synchronization Settings - decide which of the possible synchronization options you want to enable. Simply tick the ones you are interested in. 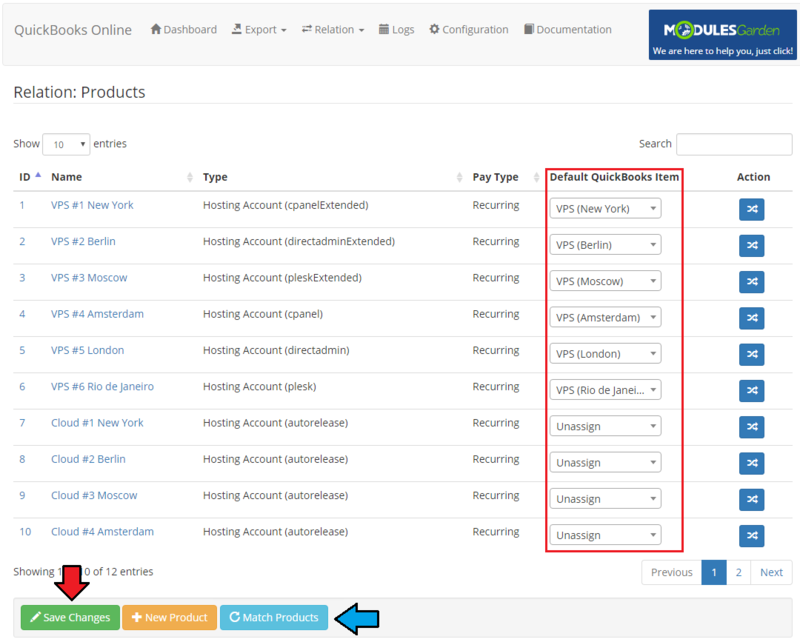 Apart from choosing required synchronization options, you have to decide which items from QuickBooks, 'Products ', 'Addons', 'Domains' and 'Promotional Item' ' will be associated with. Client Display Name Format - use available tag fields to adjust the displayed name view. Shorten Transaction ID - select this option to cut every payment Transaction ID that is longer than 21 characters (limit of signs allowed by QuickBooks Online). In case the transaction ID in WHMCS is longer, it will be cut to allow successful export of such transaction. See documentation to learn more. At this section we will show you the possibilities of QuickBooks Online For WHMCS. 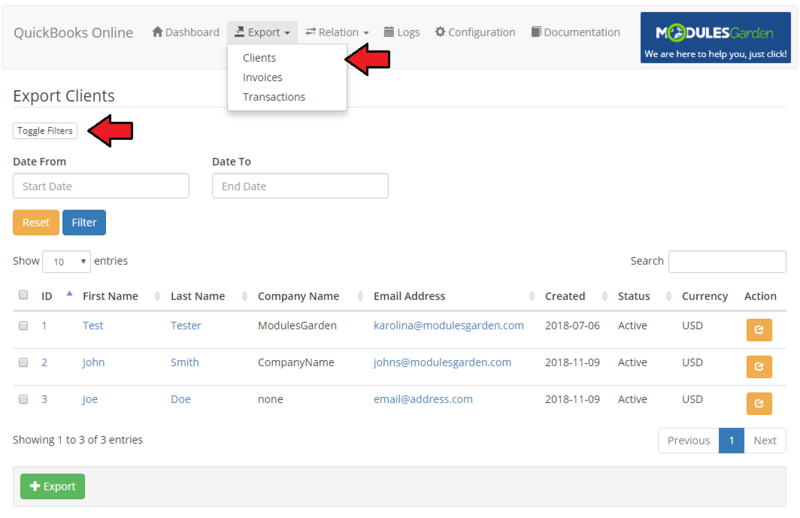 Once the module has been properly connected with QuickBooks and the entire configuration is complete, we can move on to the 'Export' section. Our module enables several ways to export any data gathered in your WHMCS. Read the below points to learn what data can be synchronized with QuickBooks and what are the possible means of such synchronization. 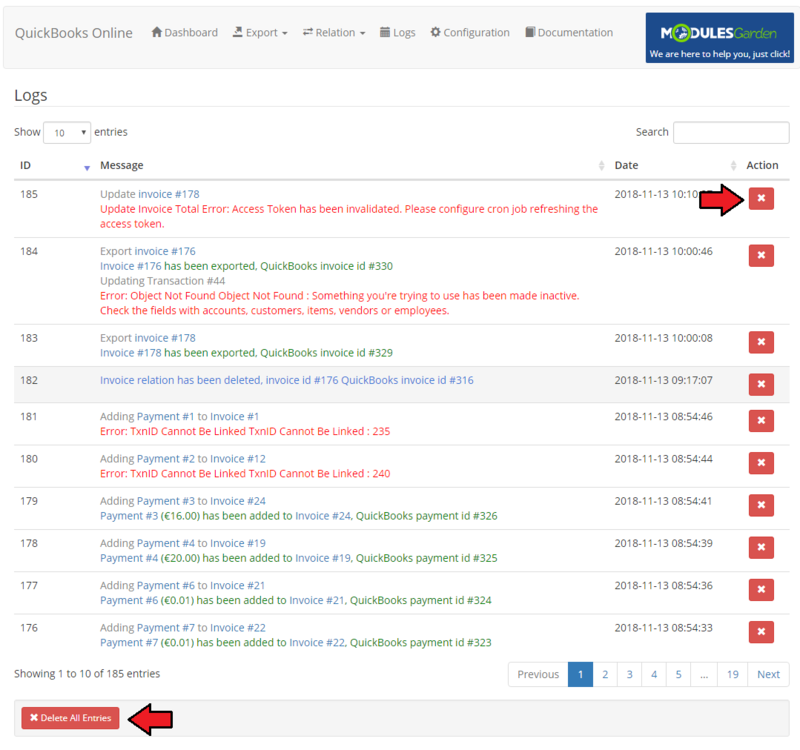 you will see here a list of all clients who exist in your WHMCS and have not been synchronized with QuickBooks yet. 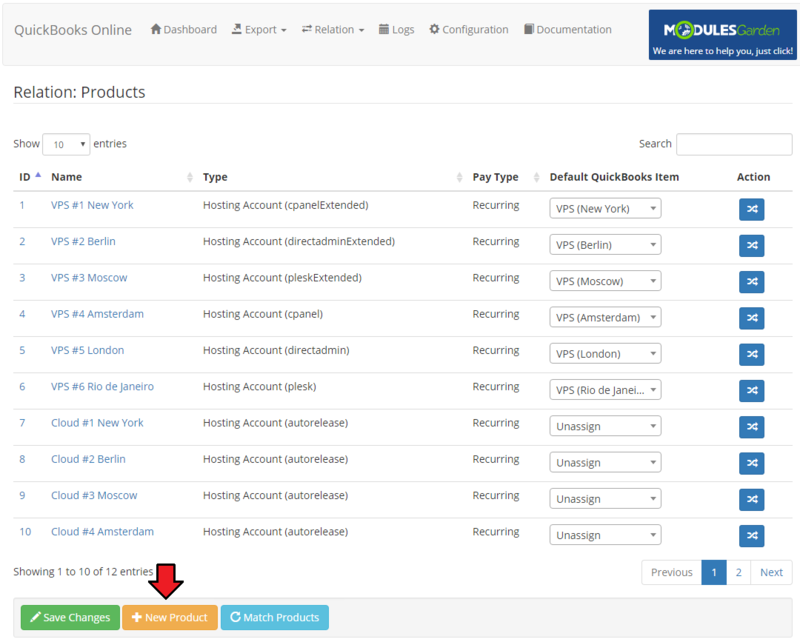 Use the filter to find clients with their account created within the period of time specified in the filter. If you want to export only one client you can do it by pressing 'Export' button located in the 'Action' column next to the name of the client. All clients newly added to WHMCS will be automatically synchronized with QuickBooks, unless set otherwise in 'Synchronization Settings'. 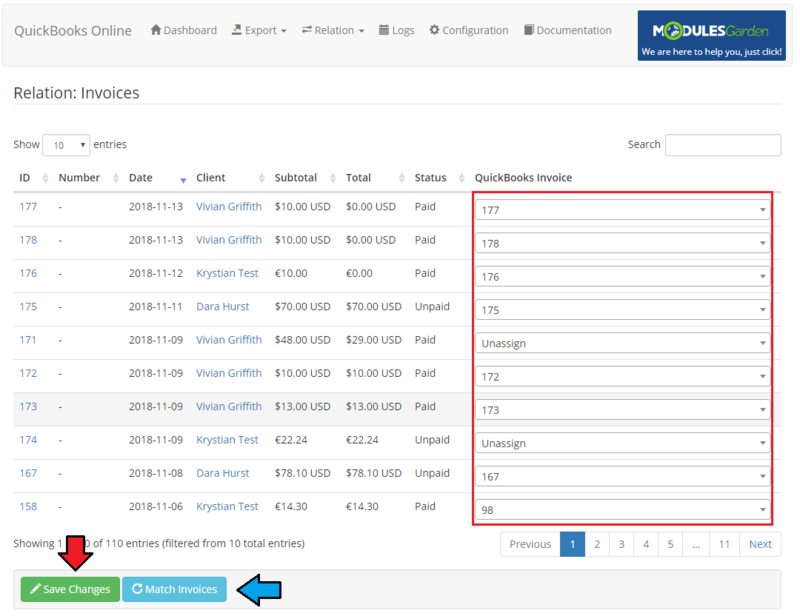 Keep in mind that all invoices added after the first usage of QuickBooks Online For WHMCS are automatically synchronized and exported to QuickBooks unless otherwise stated in 'Synchronization Settings'. The last choice is the export of transactions. 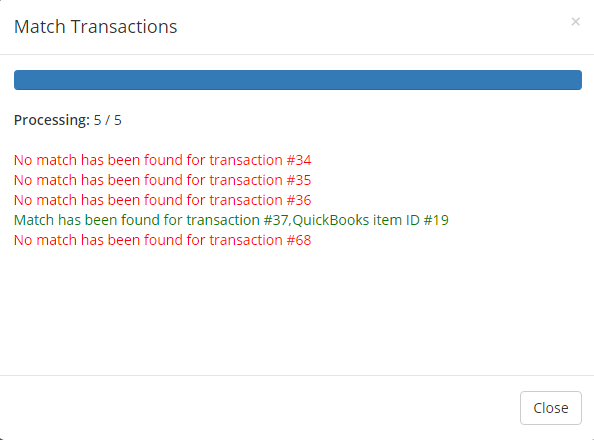 Proceed to 'Export' → 'Transactions' and find a list of all transactions in our WHMCS that have not been synchronized with QuickBooks yet. Note: Only transactions with already exported invoices are on the list of available to export. export individual transactions to QuickBooks. 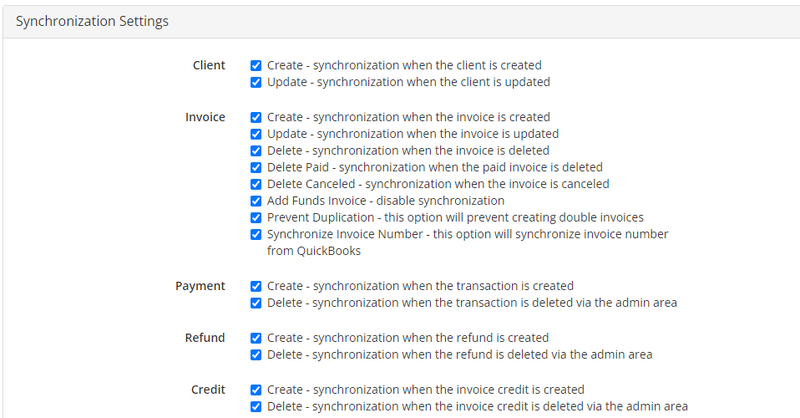 Keep in mind that all transactions added after the first usage of QuickBooks Online For WHMCS are automatically synchronized and exported to QuickBooks unless otherwise stated in 'Synchronization Settings'. It is possible to manually declare relations between WHMCS clients, products as well as invoices and corresponding to them QuickBooks elements. This feature is especially helpful when you need to avoid confusion and misunderstandings. Please note that this is an extra option, which gives the possibility to configure relations either manually or automatically. The first possible relations to be declared are relations of WHMCS clients towards the client's account in QuickBooks. those who have not been exported to QuickBooks yet as well as those already exported. Products relations can be declared manually and for each product separately along with those declared in 'Configuration' → 'Synchronization Settings'. Proceed to 'Relation' → 'Products', you will find there a list of all products with their type and payment standard. 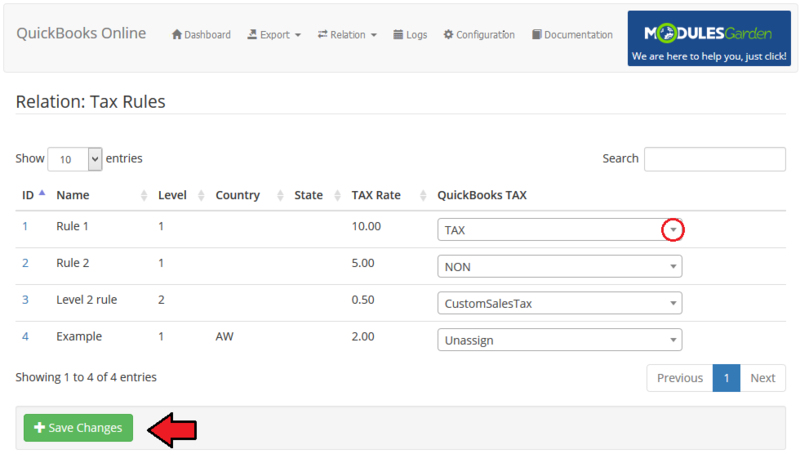 In the last column, there is a dropdown menu with all QuickBooks items that can be assigned to exported products. Select the item manually and save the changes or use the 'Match Products' option to automatically find relations. When looking for matches automatically, you will get a full view of searched items with positive or negative results. If you need, you can add new products to QuickBooks' items list, just press 'New Product' button marked on the screen below. Name the new item, you can describe it shortly in addition, state its price/rate and choose account. 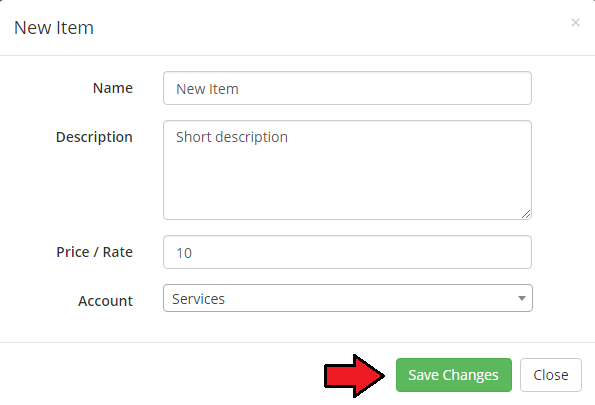 Once you save changes, the new item will be visible on the QuickBooks item dropdown menu. You can now use it to assign WHMCS products to it. For different billing cycle you can also assign the item that will have its own cycle in QuickBooks. 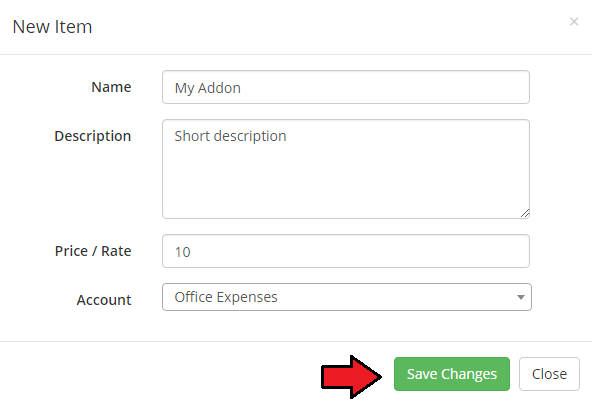 Just press the action button, select one form dropdown menu and save changes. In 'Relation' → 'Domains' tab, you will find a list of all WHMCS domains with their TLD. 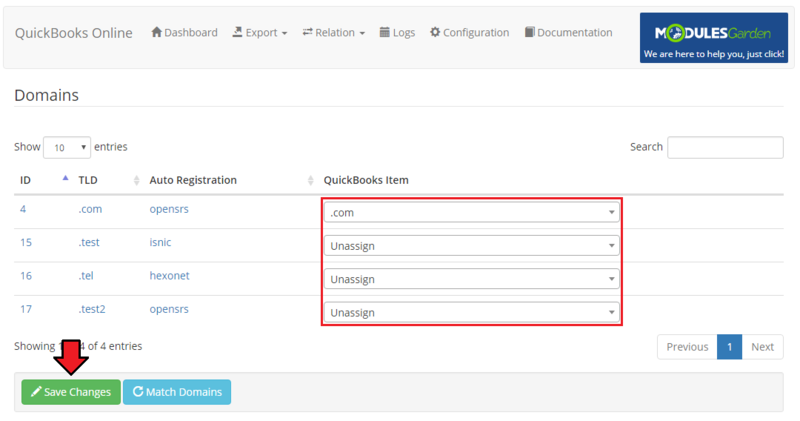 Assigning a WHMCS domain to another QuickBooks item is possible. Just choose such a domain from a dropdown menu and save changes. 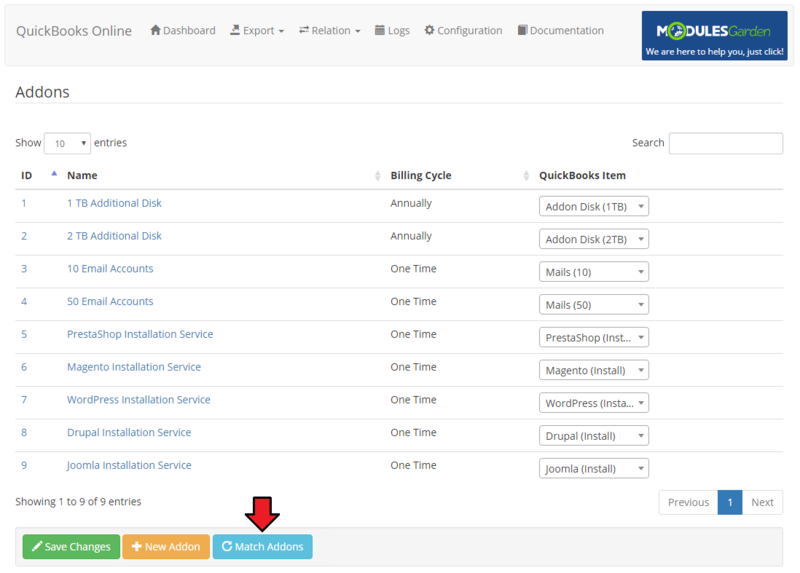 You can assign addons to the items already existing in QuickBooks. Just go to 'Relation' → 'Addons' directory and choose the addon from a dropdown menu. and choose an account. 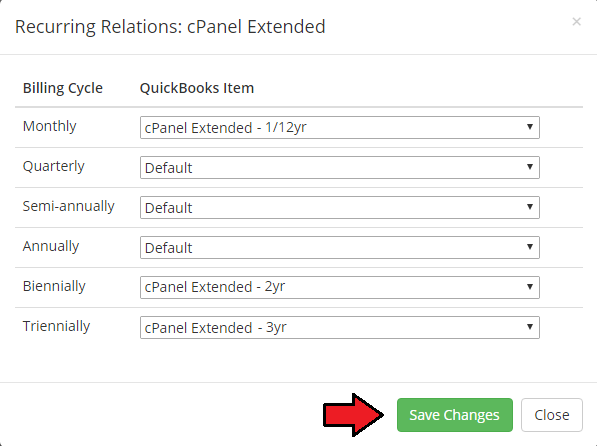 Once you save changes, the new addon will be visible on the QuickBooks item dropdown menu. 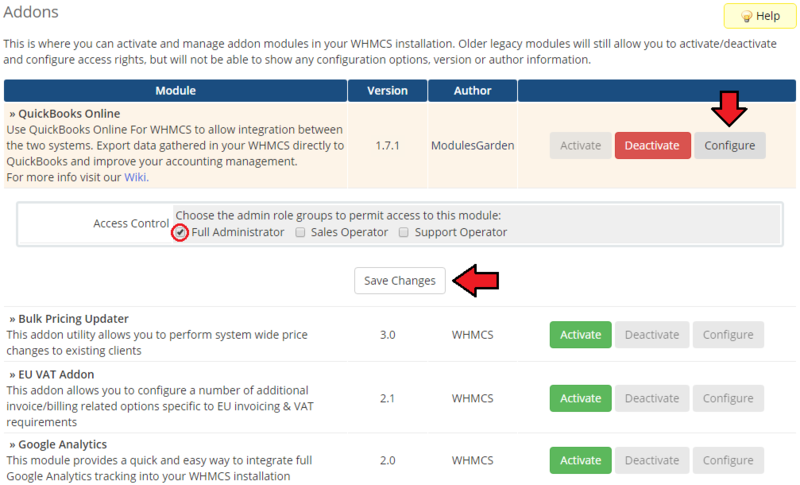 You can now use it to assign WHMCS products to it. Use the 'Match Addons' button to find any matches automatically. In 'Relation' → 'Invoices' directory, you will find a list of all WHMCS invoices with their ID, date of creation, assigned client, total sum on it and status. It is possible to assign the WHMCS invoice to another invoice already exported to QuickBooks. Just choose such an invoice from a dropdown menu and save changes. Assign each rule to a specific QuickBooks tax. Select one from a dropdown menu and save changes. In 'Relation' → 'Payment Gateways', there is a list of available payment methods. Select the one you wish to use from a dropdown menu. Save changes. 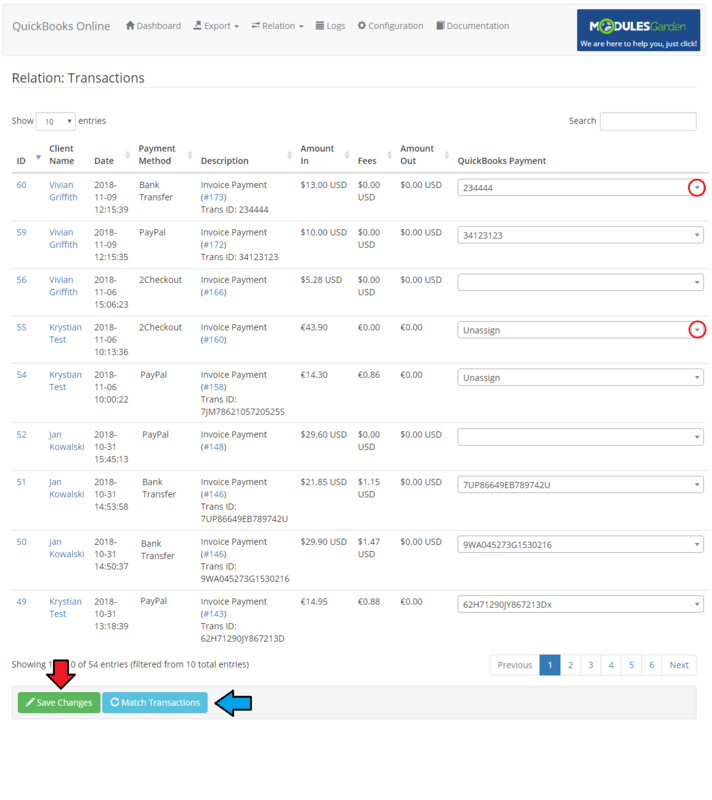 When you click the button in the 'Action' section, you can set relations for previously chosen payment gateway. In 'Relation' → 'Transactions', there is a list of transactions. Select the one you wish to use from a dropdown menu. Save changes. Use the 'Match Transactions' button to automatically find and existing relation in QuickBooks without manual search for every single transaction. You will get an extended list with information for which of the transactions a match has been found, and for which no. As you have noticed in the above sections, there is an option to find appropriate matches in QuickBooks and set the relations between the items within one group (e.g. Products or Domains) automatically. All you have to do is press the 'Match Products/Domains/Invoices' etc. button. You will be asked to confirm the action and soon after that the process of looking for matches stars. Once ready, you will see a full list with results. Successfully found matches in green and no match found for an item in red. Found relations will be set automatically. 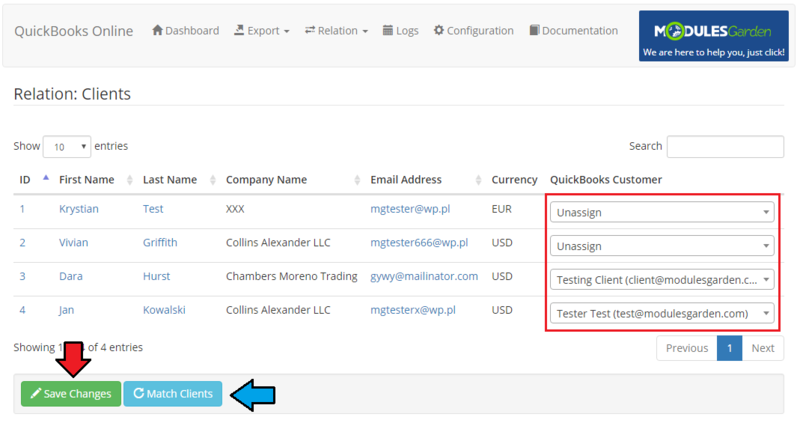 In 'Logs' tab there are enumerated ALL actions on clients, invoices and transactions. Regardless if they were taken manually in the module, automatically or by a cron job. A list of all entries with precisely described details and an exact date of the action can be found there. Clear all the entries or delete only some of them. Use buttons marked on the screen above. The first one - 'Summary' - contains data on the number of exported clients, invoices and payments together with refunds. The number includes exports carried out in all possible ways. The second table contains information on crons. You may see here when the last cron was run and what time period it covered. The very last tab 'Documentation' will, once clicked, redirect you to the article you are currently reading. 1. 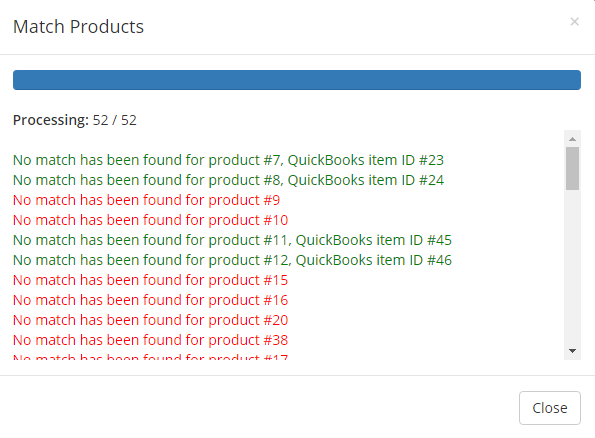 Status of the invoice in QuickBooks may differ from the one visible in WHMCS. It will be marked as paid only if it is associated with payments on exactly the same amount. If there was no such real payment, the invoice will be marked as 'Unpaid'. 2. 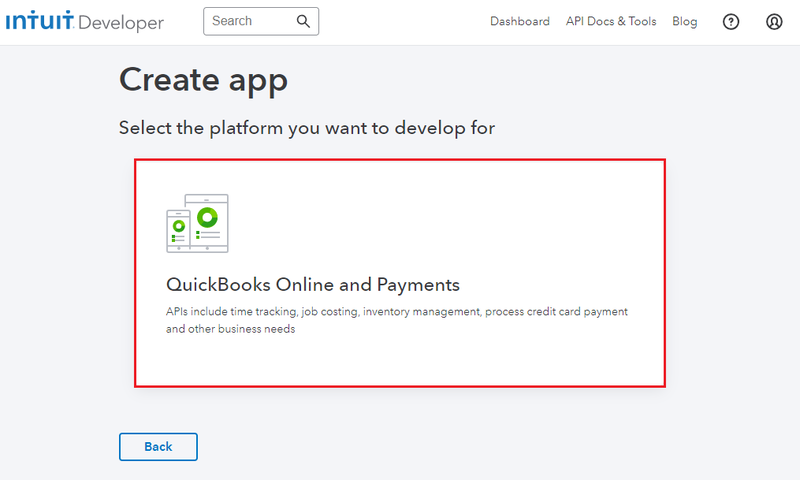 Should you have problems with upgrading QuickBooks Online product to version 1.3.0, set again the relations of payment deposits in the 'Payment Gateways' section. 3. It may happen that taxes are counted incorrectly for invoices with multiple items where part of the items is taxed and some are not. Please, be careful! 4. In case you encounter any issues with installation and configuration please make sure you have OAuth PHP Class installed. 5. You may encounter the API '#OAuthException' error with 'making the request failed (dunno why)' message during configuration. If so, first try to enable 'allow_url_fopen' option in your PHP configuration by setting up the 'allow_url_fopen = on' line in 'php.ini' file and restart the apache2 server. If you need more information you may check it here. In that case, make sure you have set up the 'Redirect URI' correctly, as described here. 7. Applications crated before July 17th, 2017 which are still using OAuth 1.0 authentication method are no longer supported by the module. 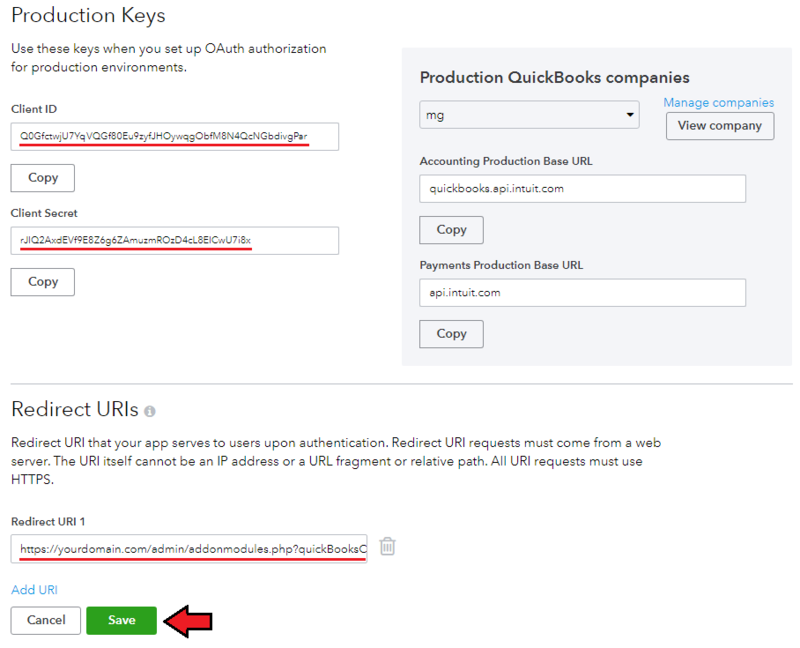 Please create a new application that will support OAuth 2.0 or contact Intuit support to migrate your old application to OAuth 2.0 at https://intuit.me/intuit-oauth2. This page was last modified on 26 March 2019, at 12:56. This page has been accessed 17,876 times.